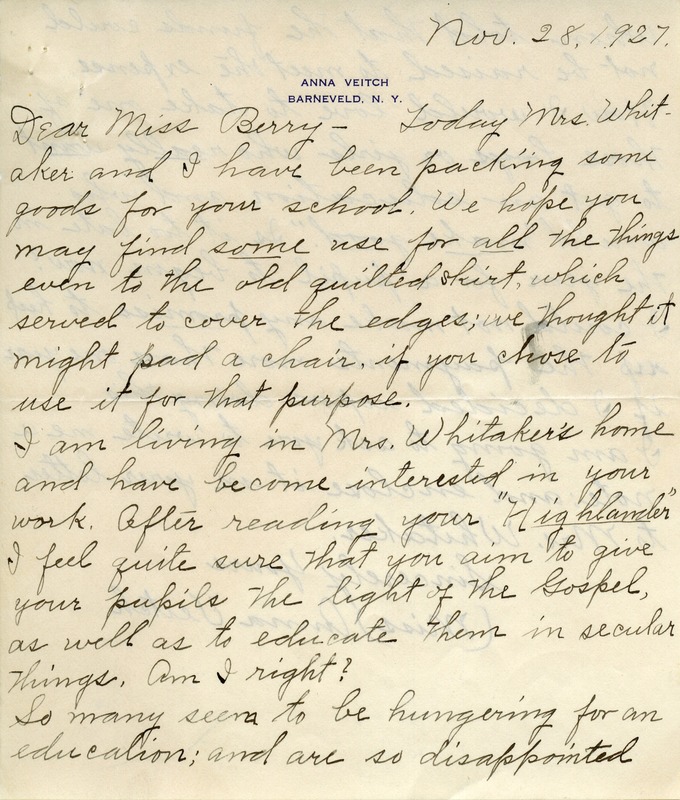 Veitch writes to say that she and Mrs. Whitaker are packing items to send to Berry. She asks for confirmation that Martha Berry wishes to education pupils in Christianity as well as practical matters, and wonders if it is too late for her to support a pupil. 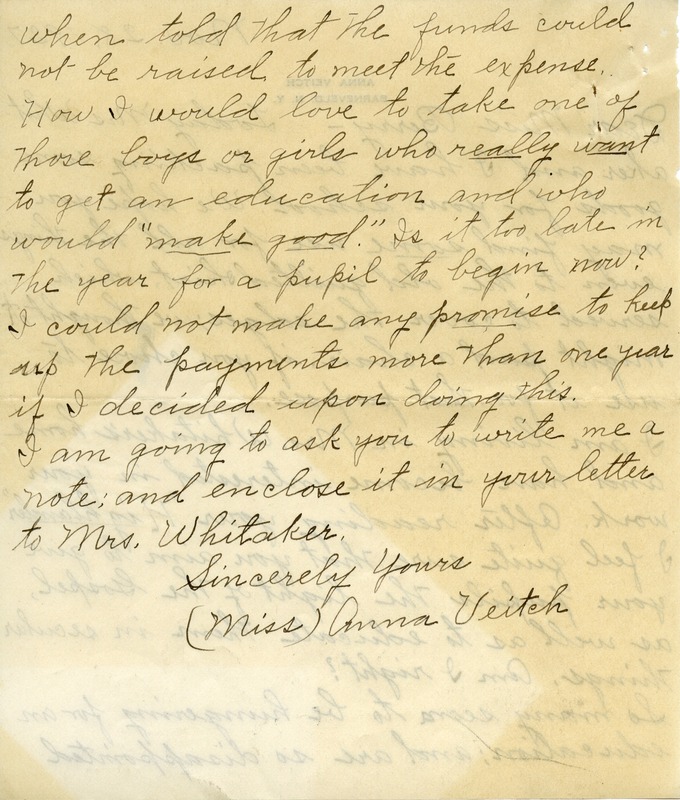 Miss Anna Veitch, “Letter from Anna Veitch to Martha Berry.” Martha Berry Digital Archive. Eds. Schlitz, Stephanie A., Sherre Harrington, et al. Mount Berry: Berry College, 2012. accessed April 21, 2019, https://mbda.berry.edu/items/show/6010.